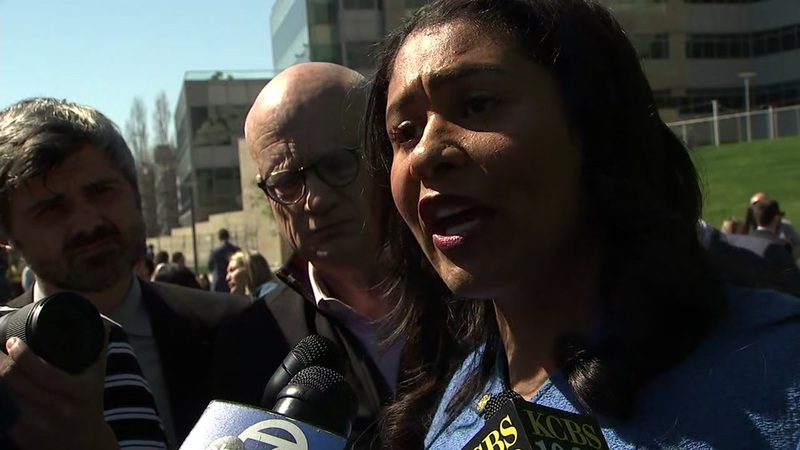 SAN FRANCISCO (KGO) -- San Francisco Mayor London Breed is joining leaders of the Bay Area domestic violence community in calling for the MLB to hold Giants CEO Larry Baer accountable for a recent physical altercation with his wife, Pam. "We ought to hold our leaders, especially in the sports arena, to a high standard of excellence, so we send the right message," Breed said. The mayor's call comes more than two weeks after Pam Baer fell out of a chair during a struggle with the Giants CEO over a cellphone in a San Francisco park. Breed did not call specifically for Major League Baseball to suspend Baer, saying there "needs to be consequences, what those consequences are need to be determined." On Monday the Giants organization issued a statement saying, "We have read the very thoughtful letter and the subsequent statement from the Mayor and we value the sentiments and perspectives expressed." Baer released statement hours after a video of the incident surfaced apologizing for his actions. "I am truly sorry for the pain that I have brought to my wife, children and to the organization," Baer said. "It is not reflective of the kind of a person that I aspire to be, but it happened and I will do whatever it takes to make sure that I never behave in such an inappropriate manner again." The Giants announced March 4 that Baer would take an indefinite leave of absence. Take a look at more stories and videos about the San Francisco Giants.